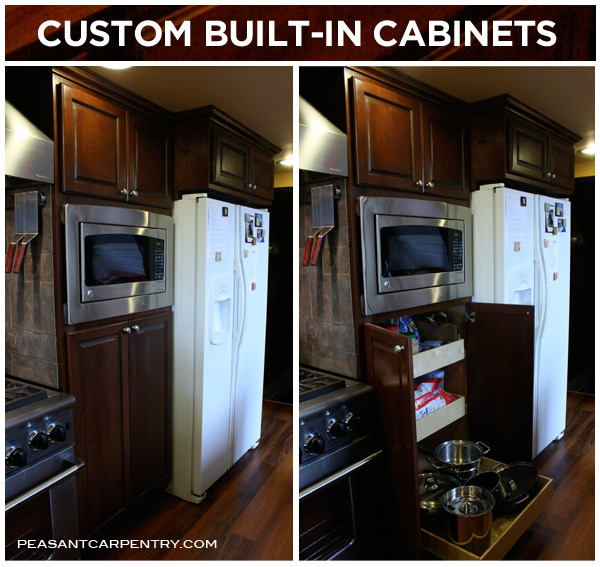 These cabinets were built to match store bought ones used in the rest of the kitchen and dining room. Seth Baker of Peasant Carpentry is fully bonded, licenced and insured in the state of Washington. All work pictured on this site was built by Seth Baker.